When you catch your first glimpse of San Simeon, you immediately get why William Randolph Hearst chose this place above all others to call home, building his castle high above the sea on his “Enchanted Hill.” You also understand why Hearst Castle became the A-List retreat for Hollywood’s elite back in the day. San Simeon is, quite simply, a magical place. With emerald green mountains and hills embracing the deep blue waters of the Pacific Ocean sparking under the California sun, San Simeon maintains its timeless beauty, beckoning visitors with its pristine beaches and parks, rare wildlife and cultural treasures. 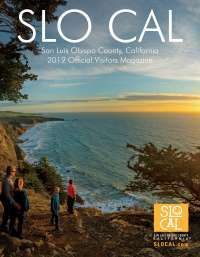 San Simeon’s Highway 1 properties – from quaint seaside inns to full-service resorts – offer the same warm hospitality, offering rates significantly lower than high season. Click here to find and book the right property for you. 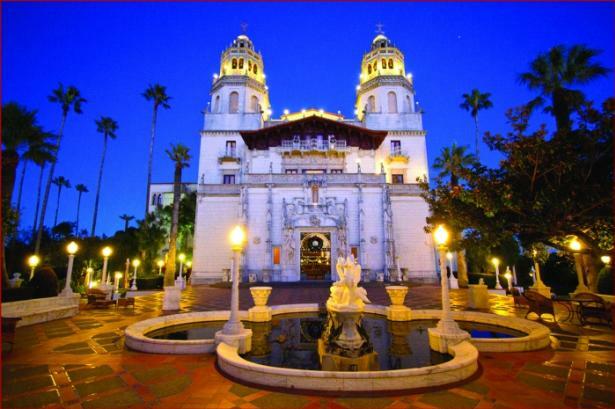 Hearst Castle attracts visitors from around the world looking to experience the newspaper magnate’s enviable lifestyle and wonder at his impressive collection of 14th to 17th century fine and decorative European art. Although colorful at any time of year, each fall the staff decks the halls with glittering holiday lights and décor, from late November through December. Fall also brings the return of the seasonal evening tours, where staff dress in period costume. Here, you can avoid hectic big-city harvest events and explore old-fashioned fun with plenty of elbow room, such as the Scarecrow Festival. Businesses and residents compete to create the best scarecrows. This September celebrate California Wine Month by taking part in ongoing events at Hearst Ranch Winery, including a Winemakers Dinner. Other standouts include the Beach Cleanup Day (Sept. 16) and the Lighthouse Century Bike Rally (Oct. 14). For more information go here. Catch a glimpse of the rare northern elephant seal at Piedras Blancas Rookery six miles north of San Simeon. Although you can see a few of these fascinating creatures – whose males grow up to 5,000 pounds – throughout the year, the majority spend most of their lives at sea, coming ashore only to mate and care for their young. Beginning in the fall, the park’s elephant seal population swells to 17,000 to breed, providing a jaw-dropping spectacle. 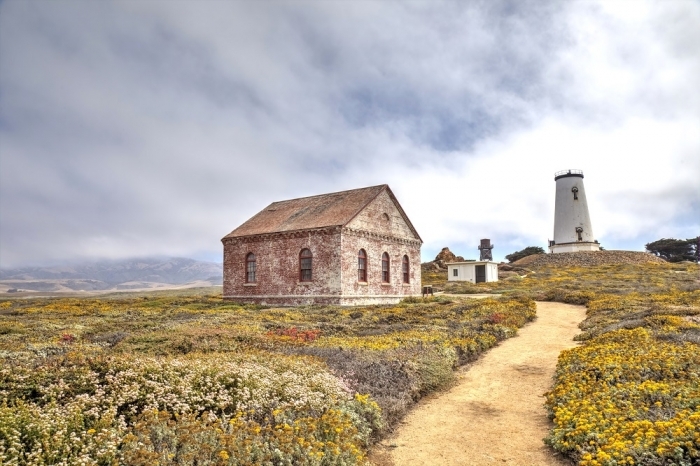 Visitors to the area can also visit the historic Piedras Blancas Light Station, which currently boasts a modern marine aero beacon sitting atop the lighthouse. San Simeon’s outdoor recreation opportunities abound, from boating, birdwatching and fishing to wine tasting and kayaking. Hiking is a favorite pastime, especially the beautiful San Simeon Creek Trail, a famous 3.3-mile trek through San Simeon State Park and its nearby campgrounds. Here, you can enjoy views of rich Monterey pines, riparian valleys, scenic bluffs and pastoral grassy areas, as well as glimpses of wildlife, Hearst Castle, the Santa Lucia Mountains and tide pools. For inspiration and to plan your trip, visit the San Simeon Chamber of Commerce’s recently refreshed website.